Ever heard the saying “a Sunday well spent brings a week of content”? It’s true, Sunday is the perfect day to plan for the new week ahead. It’s a chance for new goals, new opportunities and new achievements. We all know the feeling of that dreaded Sunday night fear when you feel like you didn’t accomplish all the things you wanted to last week and it’s going to catch up on you tomorrow. Or that your Sunday wasn’t as productive as you’d intended. How was your previous week? Did you achieve what you set out to? If not, what could you have done differently? Reflection plays an essential part in identifying areas of improvement. Organise the following week. What didn’t get done that needs prioritising? If you know exactly what needs doing before you get into work the following morning, that Sunday night anxst won’t be as bad. Utilise your calendar and reminder app, you can ask Siri to remind you what you need to do and when – take advantage of Technology! This one is obvious — Tidy home, tidy mind! It can be difficult to find the time during the week to clean the house, before you know it you have a pile of clothes sitting on every chair in the house. Set aside a few hours on a Sunday, stick your favourite album on repeat and makes those tiles sparkle! Sunday is usually seen as the day of rest, however if you get up and seize the day I promise you’ll feel more determined on Monday morning! Lunch time walks and domestic chores are great ways to get your steps up without attending the gym. 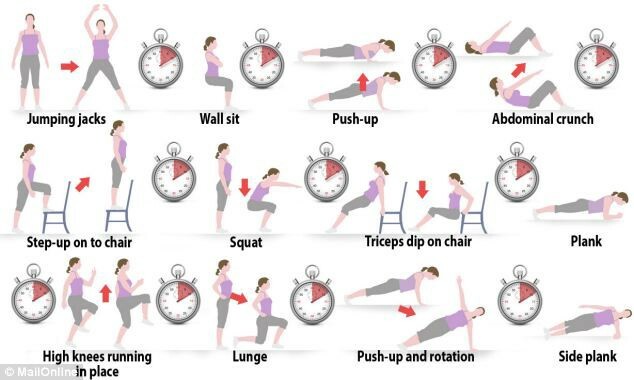 However, that’s not to say there’s not time to fit in a quick front room workout. For more information, check out my previous post on how exercise improves brain function and productivity. It’s scientifically proven that early to bed and early to rise really does work. Morning people are more persistent, cooperative, agreeable, conscientious, and proactive. While not all Sunday’s can go so smoothly to plan as I’ve laid out above, you’ll find once you start doing one, hopefully the rest can follow into your routine. Your Monday self will thank you!